Want to download information from the website but can’t find it? Here are all of the downloadable documents the CRISM website has to offer! 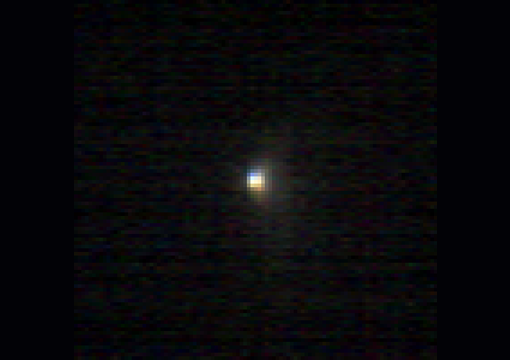 CRISM View is a first-of-its-kind opportunity to watch Mars through the “eyes” of the Compact Reconnaissance Imaging Spectrometer for Mars (CRISM) – as if you were riding along with it on the Mars Reconnaissance Orbiter! 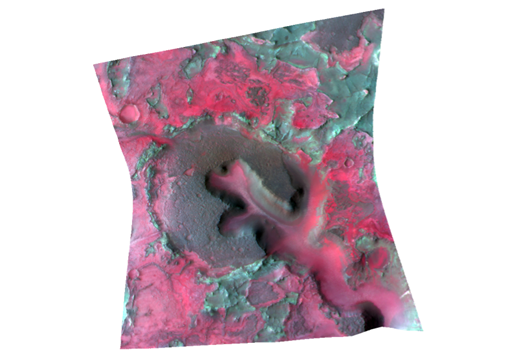 The Compact Reconnaissance Imaging Spectrometer for Mars (CRISM) is 1 of 6 science experiments on the Mars Reconnaissance Orbiter, which takes measurements of both the surface and the atmosphere of Mars. 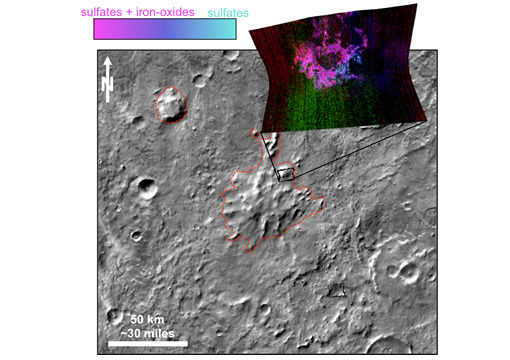 CRISM data are used to find minerals’ spectral signatures on Mars. 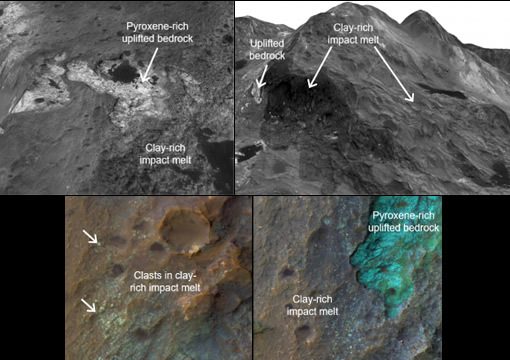 Different minerals form in different settings, ranging from ancient lakes and deltas to volcanic lava flows. We use the mineral evidence to understand how different geologic processes have shaped the planet over time. 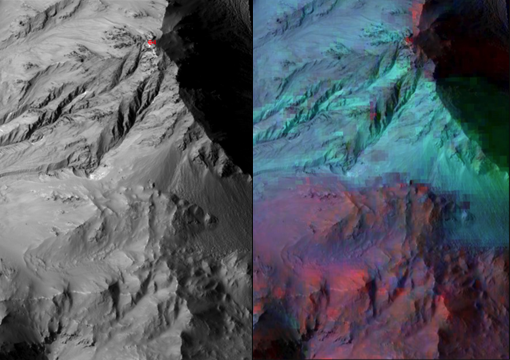 CRISM also observes the polar ice caps and atmosphere to understand seasonal and year-to-year variations in the Martian weather. 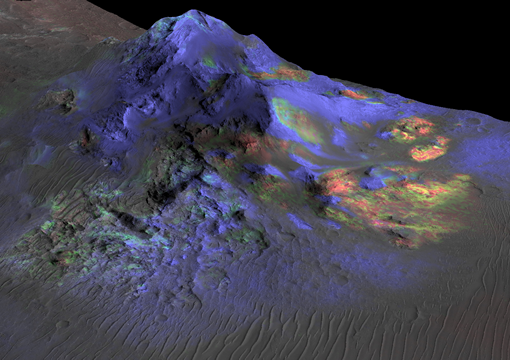 Martian glass: Window into possible past life? APL’s ​​C. 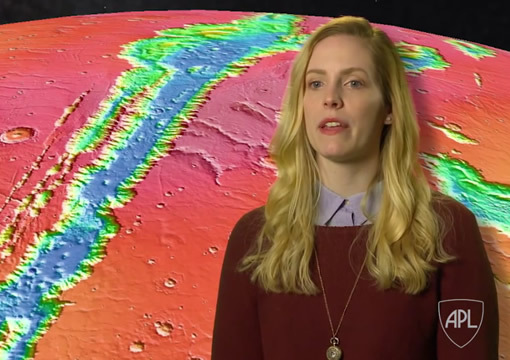 Beck describes how CRISM helps researchers understand the history and formation of Valles Marineris. 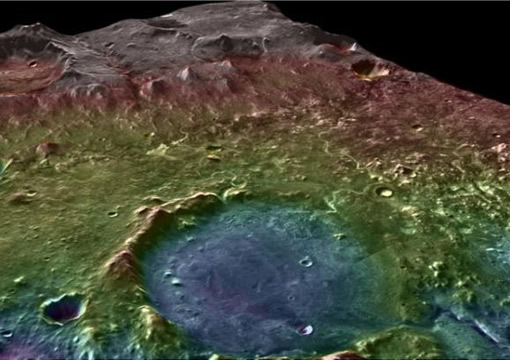 CRISM (shown here on NASA's Mars Reconnaissance Orbiter) delivers important new science and shows the way for past, present and future Mars rovers. MESDT (Mars Exploration Student Data Teams) participants discuss Martian geology. Read about the career paths that led members of the CRISM team into space exploration. 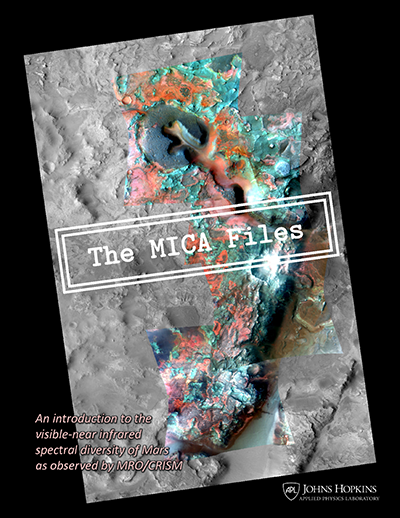 The MRO CRISM Spectral Library is an analysis tool for interpreting CRISM data. 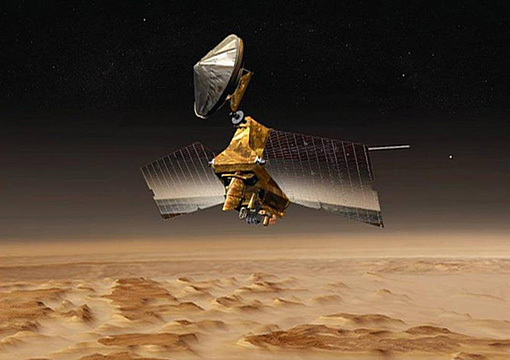 it currently contains 2,260 spectral analyses of 1,134 Mars-analog samples, all measured under desiccating conditions so that materials that adsorb water look as they would on Mars. This was made avaialble to the community through the PDS on the day that MRO entered Mars orbit! 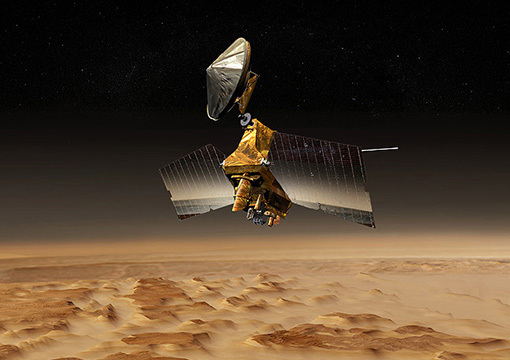 What is Mars' atmosphere like? Mars has a very thin atmosphere made of about 95.3% carbon dioxide, 2.7% nitrogen, 1.6% argon, about 0.1% each oxygen and carbon monoxide, and traces of water vapor. 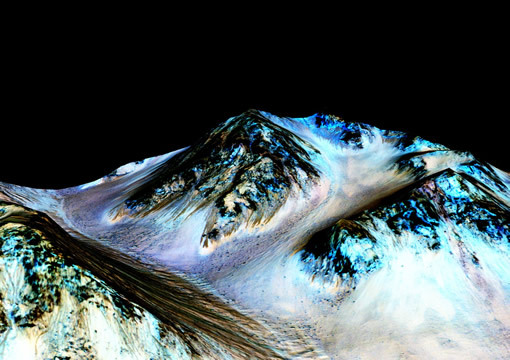 Like Earth, Mars has seasons and polar ice caps. Also like Earth, weather systems, clouds and dust storms form at different times of year. Unlike Earth, atmospheric pressure is so low that liquid water is not stable on the surface over more than half the planet - water formed by melting of ice would boil instantly! 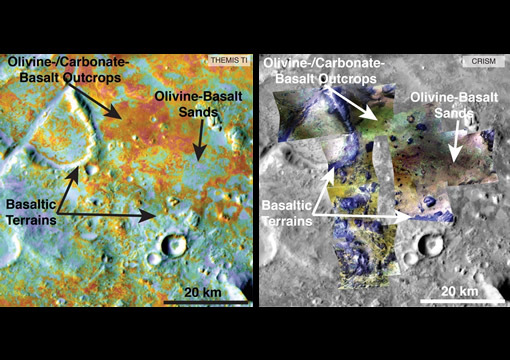 CRISM maps the surface Mars to find locations where there was persistent past water and to understand processes that helped to form Mars' crust.